You wisely opted to take out a Health Insurance policy to cover any potential medical issues that may arise. You have no concerns until you need to make a claim and then have trouble contacting your Health Insurance provider for authorisation. That is when you discover your policy is worthless and you are now saddled with huge medical bills. Beware of glossy brochures. Always carefully check an insurance company’s credentials and track record. Bogus unlicensed insurance companies can leave policyholders in possession of worthless health coverage. Scammers prey on individuals hoping to secure insurance coverage with cheaper premiums. Remember, if an offer sounds too good to be true that is because it generally is. 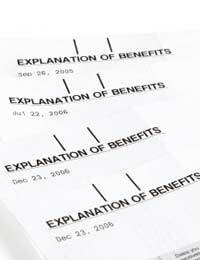 Bogus Health Insurance coverage is usually offered regardless of the applicant’s medical history and condition, and often at a lower premium rate and with better benefits. Victims of insurance scams rarely get any money back, so it is always better to be safe than sorry. In most cases, the policyholder won’t discover their policy is worthless until a claim is made for a major illness. At this point in time it may be too late to seek insurance coverage elsewhere, due to the fact that the individual may now have a pre-existing medical condition. Bogus Health Insurance providers will sign up as many individuals as possible, and will get them paying low premiums for as long as possible. If a small claim is made this is generally covered. A more substantial claim however, will result in more than a few sleepless nights for the policyholder. The elderly, or recently retired, are likely to be easier potential targets for scammers.This is usually due to the higher premiums this age group would normally have to pay in order to secure the correct amount of coverage. The lower premiums, no-questions-asked Health Insurance policy becomes an attractive offer to anyone who may have difficulty in securing Health Insurance elsewhere. Find out as much information about the company you are potentially dealing with. Ask questions and arm yourself with the facts. If a policy is offered without a medical examination, or sufficient questioning, ask questions. Always carefully read, and re-read any documentation you may be given to sign. Only deal with reputable insurance providers. Check the company is a licensed insurer. Carefully read all information provided and ask questions if you are concerned. If you are receiving medical treatment always check that your health care provider issues your insurance provider with a reasonable charge for the treatment. You do not want to discover, at a later stage, that the figures do not tally up. If you are concerned with the bills submitted contact your insurance provider as soon as possible. Medical and healthcare facilities may not get paid if the treatments are too expensive, and the Health Insurance scam victim is unable to pay. This results in higher healthcare costs and greater insurance premiums. Being informed will help eliminate future scams and help keep policy premiums as low as possible. Private Medical Insurance: A Necessity or a Luxury?